Quarters One: A Dining Room Make Over, Already! A Dining Room Make Over, Already! 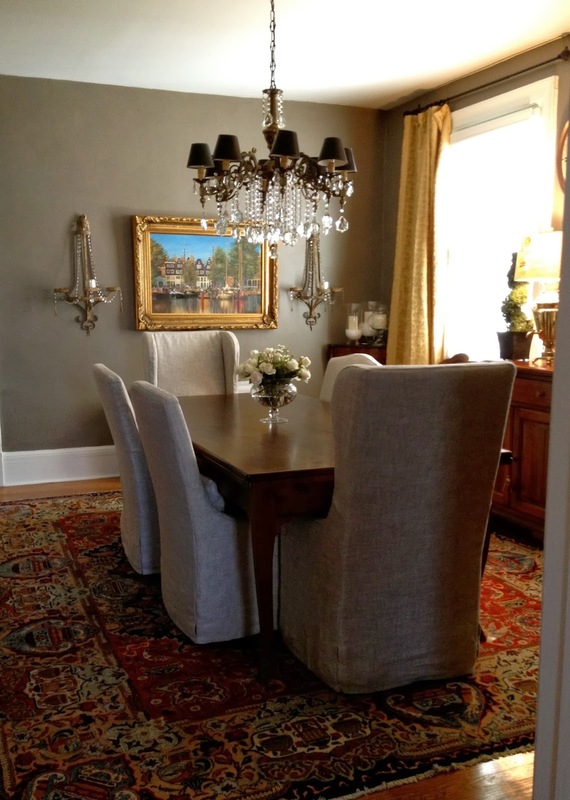 Almost immediately after posting my dining room blog I decided to do a mini makeover…I don't know why. Oh, I do know why…I just can't stand to leave well enough alone! Actually, I've had my eye on some Restoration Hardware chairs for some time and they finally went on sale. I love them because, they are not only gorgeous but they are on casters which makes them easy to maneuver, especially in our small space. Because we have such a small entertaining area in this Quarters One, the dining room needs to be extra comfy. 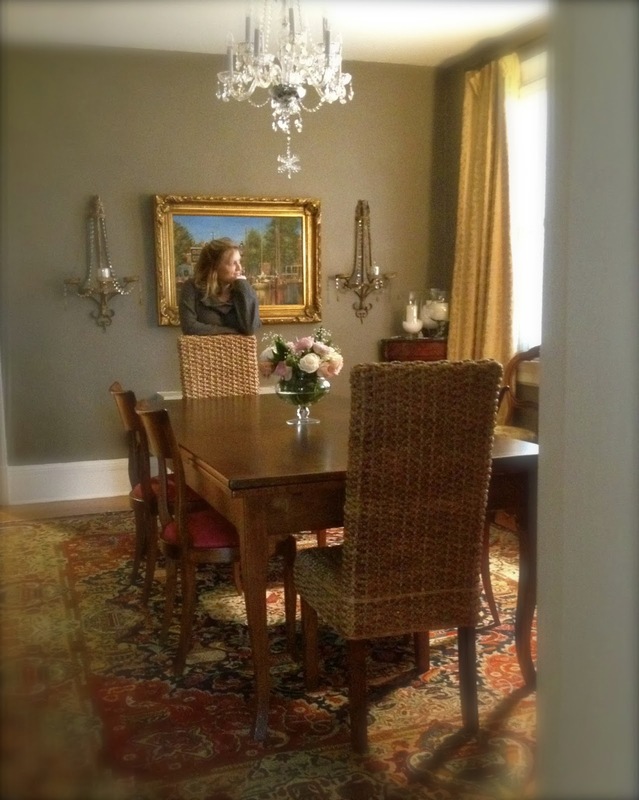 I also hung my own chandelier and moved the existing chandie upstairs to our family room. AND I painted the white built in shelving, it was making me crazy. The white space just contrasted too much against the brown and made the odd wall really stand out. The head chairs are Slipcovered Wingback Chairs in Belgian Linen, Sand and the four side chairs are from the Slipcovered Camelback collection in the same fabric. I can fit 8 of these chairs around the table but I opted for 6 for now. Here is the before shot in case you missed that blog or you can catch it here! I just love the graceful curve of the arms of this vintage Venetian chandelier; I think they are so romantic. Not everyone will agree with me on painting these built-ins but I think it was the best idea for this particular room. The difference in time of day sure makes a difference in the way the paint color looks, I think the photo below is the best representation of the Sherwin Williams color Backdrop. A sweet someone asked if our Italian relatives were still hanging in our dining room…yes they are…we never set up shop without them! They, in fact, are not our relatives but some portraits we found at the market in Piazzola sul Brenta, Italy. 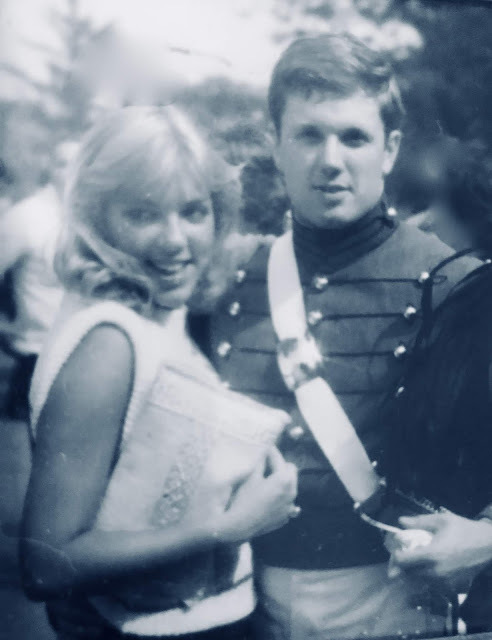 Bill has always been intrigued by the Italian Bersaglieri and when we found this Bersaglieri we knew we had to welcome him into our family…and of course he had to have a wife, so here she is too. They are Carlo and Francesca (my son calls them the Kripis aka "creepys") but I prefer the Martinis…thanks, Joanie, for that surname! Obviously, we don't really know their stories so we've made some up for them up...it makes for great dinner conversation! Thank you for stopping by and look for us on Facebook! Did I mention our new puppy?! Next time! 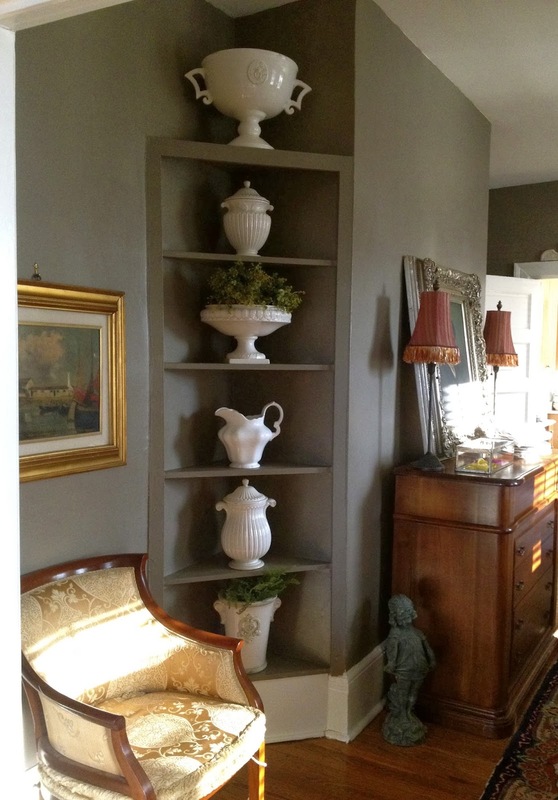 I love the way you painted it but then restyled the shelved to include your white ceramic pieces. Beautiful. Those new chairs make a HUGE difference. BTW, that was Teresa Ridgeway commenting. Not some random stranger. Love the change. I think the painted built in shelves look better and it also makes your white ceramic pieces pop. Very beautiful!